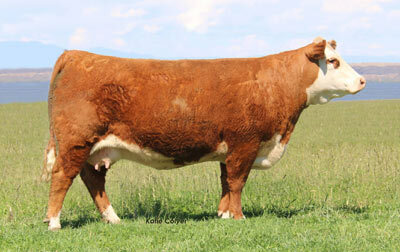 This young female is very rare because of her tremendous body depth and capacity combined with a moderate frame. One of the tightest uddered, heaviest milking young cows on the ranch. 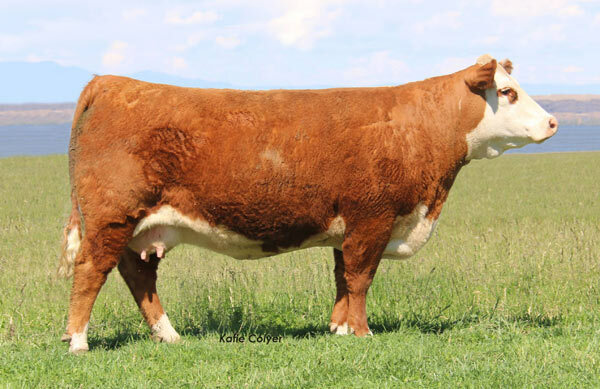 Her EPD's reflect low birthweights combined with excellent growth, milk, and top carcass traits. BWR of 99, WWR of 114 and YWR of 109. 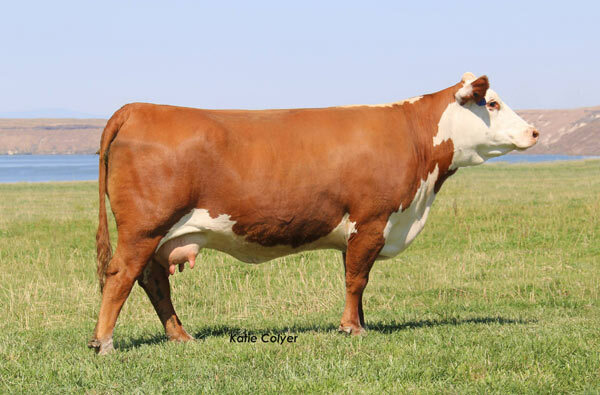 First son now serving as a herd sire for GKB Cattle Co. in Texas.